Pet shop owner Ryo Taira is one of the animal rescue volunteers helping with search efforts in Sendai, Japan, following the 9.0-magnitude earthquake and 30-foot tsunami on March 11, that left more than 10,000 people dead and 17,500 others still missing. On Tuesday, 11 days after the disaster, someone alerted Taira to a baby porpoise trapped in a rice field about a mile from shore. He went to investigate and found the porpoise struggling in the shallow seawater that flooded the field. Reuters reported that Taira first tried to net the "dolphin," but the image shows clearly that the animal Taira is rescuing is in fact a porpoise. Both dolphins and porpoises are classified as toothed whales in the scientific suborder, Odontoceti, and like all odontocetes can use echolocation to detect objects underwater. But porpoises with their flat faces are in the family Phocoenidae while dolphins with their long beaks are in the family Delphinidae. Divided at the family level in classification makes porpoises just as different from dolphins as dogs are from bears. Tiara rescued a finless porpoise (Neophocaena phocaenoides) a vulnerable species found in Asian waters. 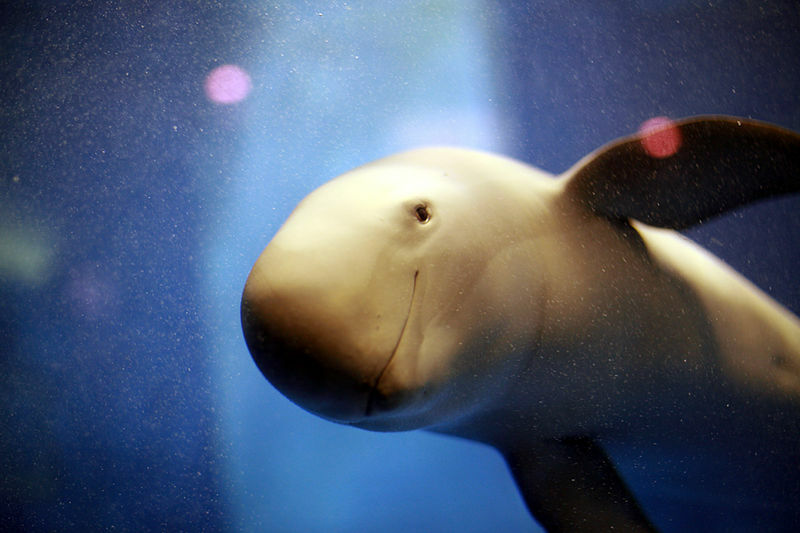 To get the porpoise back to safety, Taira waded into the field and caught the four-foot long animal in his arms. He cradled the baby porpoise out of the rice paddy to the road where he and friends wrapped wet towels around the animal and drove it over to the beach. The animal appeared to perk up once it was back into the Pacific Ocean, Taira told reporters. "I don't know if it will live, but it's certainly a lot better than dying in a rice paddy," Taira told the Asahi Shimbun newspaper. Written by LisaAnn On March 26, 2011 In "lisa ann o'kane", "lisa ann okane"